Alexandra Dietz is a photo documentarian driven by an insatiable curiosity to better understand people - their stories, what motivates them, and the way they live their lives. This is the focus of her photography, to immerse her audience in the excitement, joy, grief, confusion, and strength of each subject. Because pictures capture moments in time, they help us make sense of intense exchanges, allowing viewers to absorb the content of an otherwise fleeting and visceral experience. To record such moments one must create mutual vulnerability and openness, and this has been one of the greatest strengths of Alexandra's work as she travels into cultures and subcultures that are not her own, seeking to convey the subject of each photograph in his or her authentic context. With this trust and intimacy established the artwork reveals a connection as it unfolds, raw, rich in everyday details, where backgrounds and lifestyles are stripped down to reveal common ground. Alexandra sums it up best stating, "I impart my curiosity about people, and try to inspire my viewers to ask more questions of themselves and those they meet." 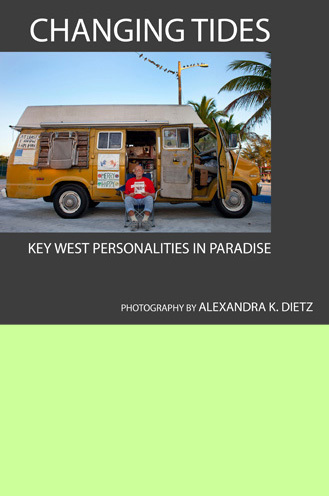 A photo documentarian, Alexandra Dietz turns her lens on the colorful denizens of Key West, FL. 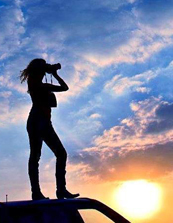 Inspired by her exhibit at The Studios of Key West, this collection of photographs sums up the diversity of people she has encountered in this Southernmost City in the Continental United States. "I impart my curiosity about people," she says, "and try to inspire my viewers to ask more questions of themselves and those they meet." Alexandra Dietz holds a BFA in photography from the School of the Art Institute of Chicago, went on to receive a Fulbright Nehru scholarship, and is currently based in Key West, FL.